Reading is not just for English class! Actively Learn has a place in all subject areas. Being a science teacher I strive to have scientifically literate students by teaching the concepts of science but more importantly what is happening in the world around them. 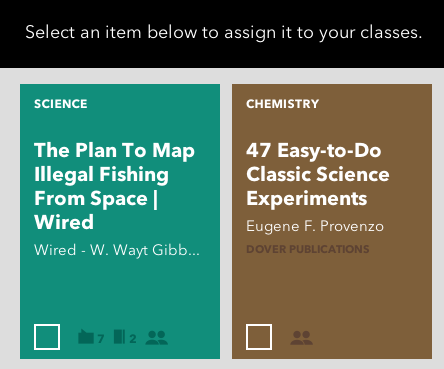 By using Actively Learn, I can assign readings to my students from the curated content to articles I find online and see how my students are understanding. The content already in the database is high quality with categories and notes already loaded by Actively Learn and other teachers. 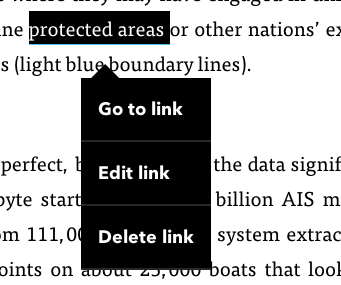 A feature I find extremely useful is the ability to add your own text from the internet, Google Doc or PDF. To prepare students for the Provincial wide literacy standardized test, I can upload practice articles from their database and assign. I am able to add local or global science issues from new discoveries to interesting articles that hook students into science. The teacher dashboard is very informative and natural to use. You can easily assign readings to single or multiple classes. Class creation in very simple and students join by logging in with a custom code. 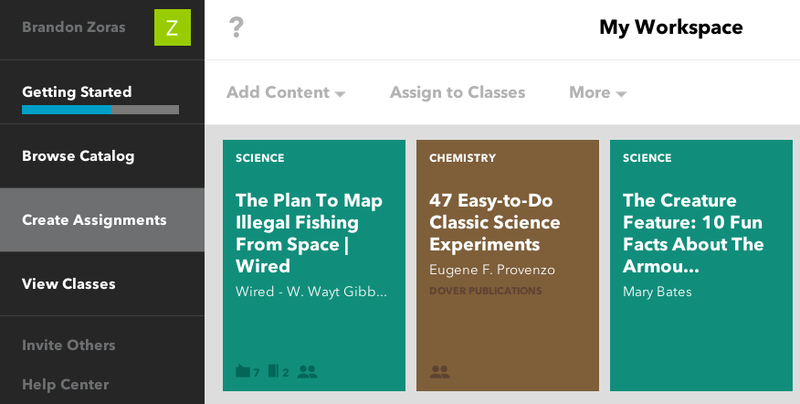 Once they are in, students can start completing assignments based on what the teacher has assigned. The powerful part of this whole site and what separates it from just having students read an article online is the analytics. You can view a variety of stats once your students start to work. From reading time, to answers to questions, you can comment and grade the students right from the dashboard. You can select a particular question and see the class results, give them feedback and rank their answers. Students can also raise the I don’t understand flag, which will alert you to help a particular student. I would like to see the ability to remove part of the article from an online source. For example some articles have ads or extra information that become trapped in the article, the ability to modify the body text of an article would be useful. Got stuck? The help centre is very informative on how to do all the functions within the site. From adding students, curating content to importing your own articles there is help for it all! This program should not be limited to English class! It has value in any subject and any level. The customization and available content is suitable for any range as you can control that. If you find the reading was too hard you can do an easier one next time. You could also enrich the article with extra links to challenge students. This program works very well for my classes and accommodating special education requests. Some students need to hear the text read to them. Actively Learn has a built in text to speech feature simply by highlighting and clicking hear it. I highly recommend this program as it helps students on their literacy and understanding subject content. Below is a step by step guide on how I added an article in for my grade 9 science class. 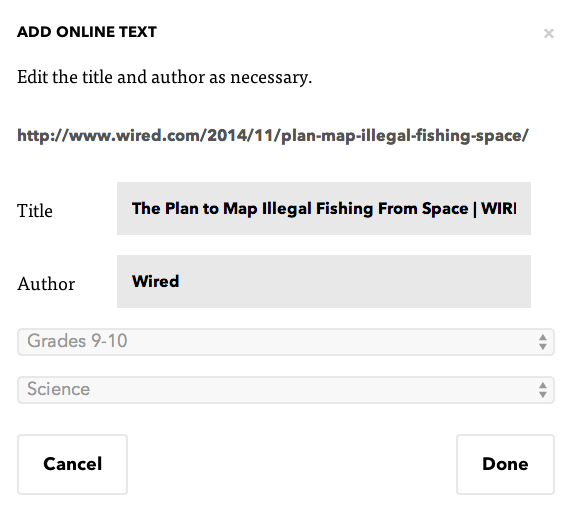 A great article I am using to link our ecology unit and space unit is “The Plan to Map Illegal Fishing From Space” from WIRED science. I think by having students see how these two units cross over they will have a better understanding of science as a whole. 2) From the list you can select the type of content you would like to add. 4) There are ton of great resources if you click the popular resources button but I already have an article in mind. 5) Paste the link in and follow the next set of steps to fill in further information to categorize your article. 6) I can then add links, notes or questions for students to try. In this article it mentions protected areas, so I linked to the Canadian Government’s website on protected areas in Canada to provide a local context for students. I don’t think all of them will know the difference between a false positive and false negative so will give them an article to explain. As well I explain why we are linking the two units together as a note. 7) Many of the questions can test for understanding, or in the article I have chosen, allow for students to give their opinion as well. 8)Once complete, I assign it to my class back at the dashboard page. Want to give it a try? Click here to get started!